SAN DIEGO (KGTV) - It appears traffic along parts of Normal Street in Hillcrest will disappear for good, giving way to the Normal Street Promenade. City Councilmember Chris Ward says the city has signed on for the project as part of the Uptown Bikeways Project with SANDAG. 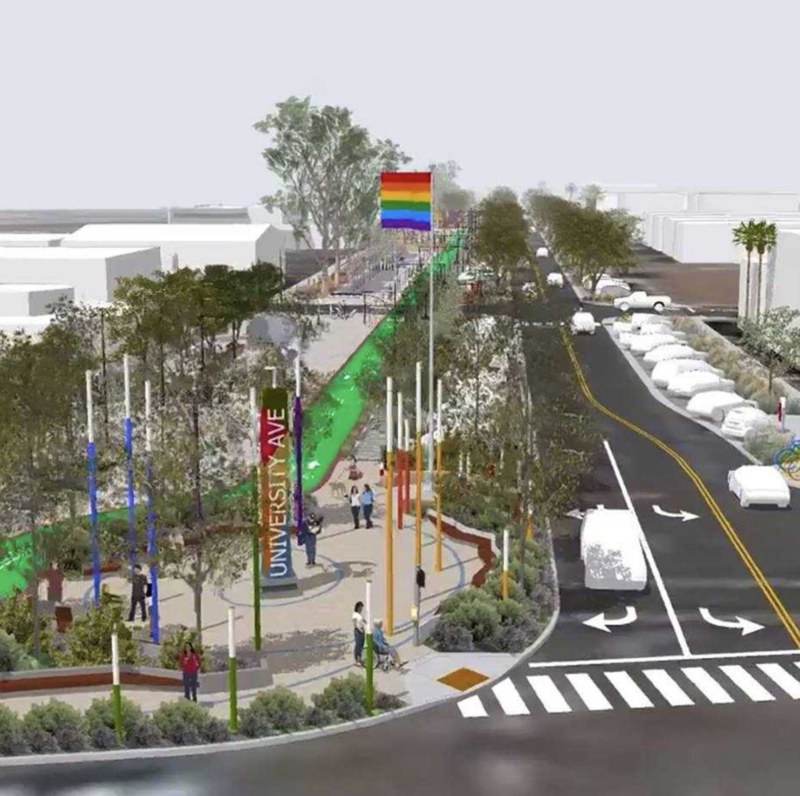 The east side traffic lanes would stay but the lanes on the west side will be replaced by dedicated bike lanes and a pedestrian walkway along a two-block stretch from the Hillcrest Pride Flag to Lincoln Avenue. "I'm excited. Hillcrest is a close-knit community, and this will make it even more social," said Hillcrest resident Madison Layo. "A great gathering space for everyone that people can rally around ... show a little pride," said Alex Craig, another Hillcrest resident. Ward says the public space can host events like the weekly farmer's market and Pride gatherings, along with events such as street fairs, movies and concerts. The proposal also includes 70 extra parking spaces from Lincoln Avenue to Washington Street. Supporters believe the project could also attract business activity to the area. The Uptown Community Parking District has allocated $1.8 million for the project. Community outreach for the project will begin in early 2019 with construction expected to start in 2020.